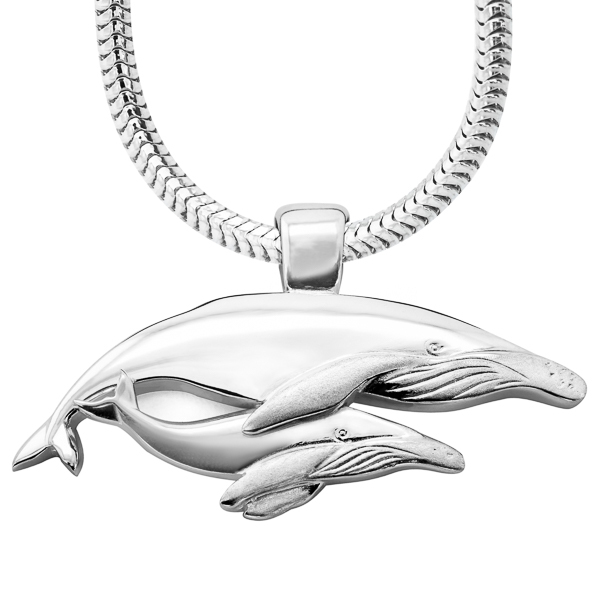 This stunning whale ring features an orca whale that wraps around so both head and tail are visible from the front. Bold and eye-catching, this ring was designed to capture the graceful power of these beautiful ocean hunters. A three-dimensional body and fine details such as the killer whale's eye and textured white patches give the ring a very realistic look. A perfect gift for all the orca lovers out there! Available in sterling silver or 9K yellow gold (white gold and other metals also available on request). Silver ring comes in our signature World Treasure gift pouch and gold ring comes with a World Treasure gift box and bag. Free shipping worldwide on all orders.